You have to hand it to Michigan: The Mitten State is a treasure trove of charming towns and an abundance of ways to enjoy the water, both Great (Lakes) and small. But it is also home to bustling cities, and a visit here would be incomplete without spending a weekend in the middle of it all: Lansing. Mid-Michigan is home to innovative restaurants, a world-class museum, and dozens of unique festivals. Read on to learn about some of the best things to eat, see, and do in the capital city. In the Lansing area, cocktails aren’t limited to the alcoholic variety. In the last few years, several local coffee shops have popped up around town offering delicious caffeinated options in cozy settings. Sip on a Chubby Checker while playing an original Nintendo at The Crafted Bean. 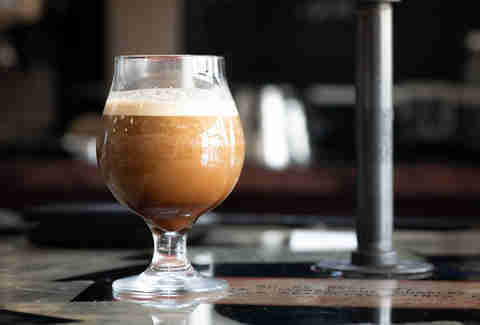 Local favorite Strange Matter, now with two locations (Eastside and Downtown), serves up a popular honey cinnamon latte and iced NOLA. Grab a nitro cold brew from Blue Owl at their REO Town post, or see if you can catch their coffee bike around town. 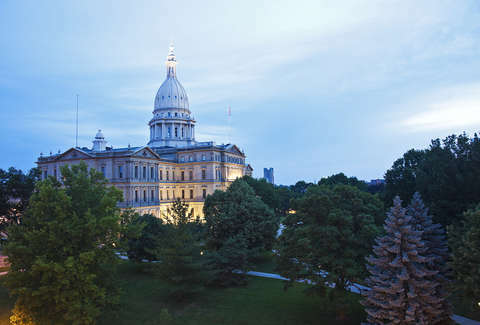 If you’re in the capital of Michigan, a visit to the Michigan State Capitol is a must. Opened in 1879, the Capitol was designated a National Historic Landmark in 1992 and is notable as one of the first state capitols to be topped with a cast-iron dome. Guided tours are available on Saturdays from 10am to 3pm and offer a glimpse at the building’s beautiful architecture and art, such as the stars on the dome’s ceiling (crafted from gold leaf and platinum), the rotunda’s glass floor (comprised of 976 pieces of glass), and the intricate doorknobs and hinges, which feature the Michigan coat of arms. Loud music, tchotchkes on the walls, a cash-only policy, and almost always a line out the door. Golden Harvest is not an experience for the faint of heart (or patience), but it’s worth it for one of the best breakfasts in Lansing. Featured on ESPN’s Taste of the Town, Golden Harvest serves classic favorites with a twist, such as their delicious Cap’n Crunch French toast. Or order something from the specials board -- which gets posted daily around 5am on the restaurant’s Facebook page. 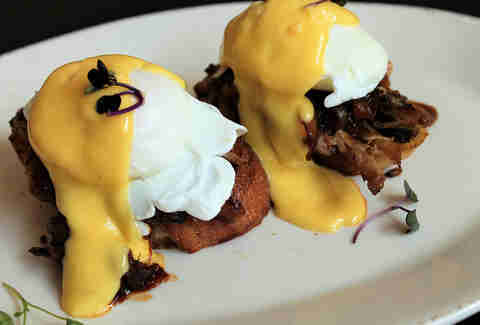 If the line at Golden Harvest is beyond what you’re willing to wait, mosey down Turner Street to visit The Creole for a New Orleans-style brunch. French press coffee, powdery beignets, crawfish & grits, and mimosas are all served in a building that is over 130 years old. In the last 20 years, the area of Old Town Lansing has been completely revitalized and is now home to some of the best local shopping and eats in Mid-Michigan. From home decor at Bradly’s Home and Garden; to scented candles, soaps, and accessories at October Moon; to beautiful cocktail dresses at Grace; the boutiques here are the perfect place to find a gift for someone (or for yourself). You’ll need sustenance to fuel your browsing, so grab a chipotle chicken taco and homemade chips and salsa at Punk Taco or a meat plate at Meat Southern BBQ & Carnivore Cuisine. Take the perfect Instagram shot in front of the colorful mural at 1208 Turner Street, which was based on previous posters for JazzFest and BluesFest, and provides an artsy surprise in an alleyway between the historical brick buildings. End your jaunt at The Grid, a retro arcade-meets-bar housed in a former bank building that dates to 1929, which pours 40 craft beers on tap underneath hanging neon Pac-Man lights. 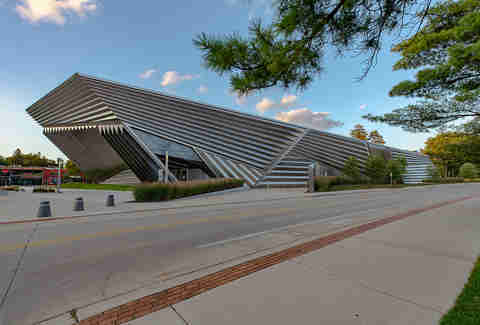 As one of only three Zaha Hadid-designed buildings in the US, the Broad Art Museum at Michigan State University is an architectural treat (and served as the site of a Lex Luthor party in Batman v Superman: Dawn of Justice). The new MSU Broad Art Lab across the street gives public access to its nearly 8,000 objects and invites collaboration in its interactive space. Visiting Lansing with children? The Impression 5 Science Center is a family favorite for its interactive exhibits, including the brand-new "FLOW: A Water Experience." And visitors of any age will enjoy the R.E. Olds Transportation Museum, mere steps away from Impression 5. The museum, named for Lansing automotive titan Ransom Eli Olds, boasts a collection of over 60 vehicles, ranging from 1886 to 2003 to help showcase the breadth of the city’s transportation history. With two locations on Michigan State’s sprawling campus, the MSU Dairy Store is a favorite any time of the year -- not to mention one of Thrillist’s best ice cream shops in America. Get the full Green and White experience and go for the Sesquicentennial Swirl, an Instagram-ready cake batter flavor swirled with green fudge. Not near campus? Capital City Scoop in Lansing’s Stadium District serves MSU Dairy Store ice cream, so you can still get your frozen fix even when you’re downtown. Michigan boasts many bodies of water, so what better way to experience the great outdoors? Hop in a kayak near the Lansing City Market and wind your way through town via the Red Cedar River or Grand River. River Town Adventures offers a variety of rental options, from their Downtown Paddle Around by the hour to the three-mile Zoo to the Market trek. Plus, rentals are available for extended hours during the summer, so you can plan a river excursion from late morning to the evening hours. Greater Lansing is known as the state’s festival capital, and with good reason. Throughout the year and almost every weekend in the summer, there are a variety of festivals happening around town featuring live music, food, and an amusing way to spend an afternoon. 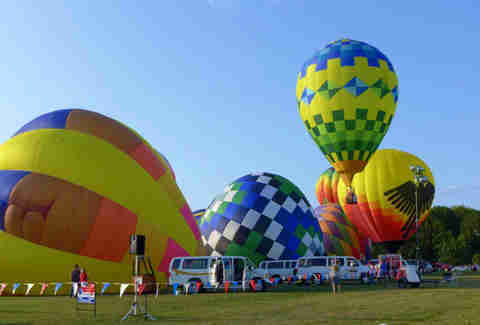 From ScrapFest (featuring a scrap art auction) and JazzFest in Old Town to the Renegade Theatre Festival and Greater Lansing Balloon Festival, there is something to suit everyone’s tastes and interests. Best of all? Many of the festivals are free. The Lansing Lugnuts, the city’s minor league team, offers a great way to enjoy hot dogs, cold drinks, and the fun of a baseball game right in the middle of downtown. Check out the team’s promotions schedule to learn about upcoming themed games, such as Kids Day or Stranger Things night. And during weekend evening games, stick around after the ninth inning for the post-game fireworks. 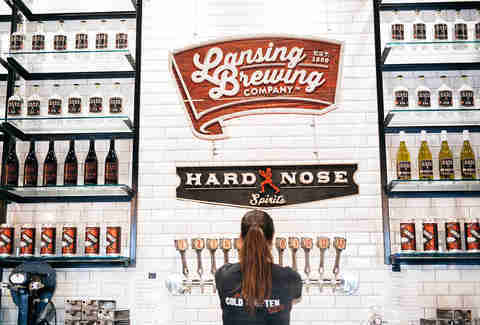 Michigan is home to dozens of breweries, and Lansing specifically has a growing number of spots to drink local. The Lansing Brewing Company offers 12 beers on tap, a creative food menu, and, often, live entertainment on the patio in the evenings. Or check out Michigrain Distillery and American Fifth Spirits for their creative craft cocktails, such as Michigrain’s Capital Cosmo or the Ginphony at American Fifth, made with locally-distilled spirits. (Note: American Fifth’s tasting room is closed on Sundays.) Make a little bar crawl of it, if you’d like -- all three are within walking distance of each other. End your Lansing day on a high note with dinner at one of the area’s fine dining spots. The French-inspired bistro EnVie (note: closed Sundays) in downtown serves classics such as duck a l’orange and cassoulet in a light, Joanna Gaines-esque setting with exposed brick and white subway tile. Bowdie’s Chophouse offers an old-school vibe, serving up splurge-worthy steaks in an intimate space. Or venture over to Okemos for the creative farm-to-table fare at Red Haven, whose menu changes every few weeks to showcase local, seasonal ingredients and offers several options for those with dietary restrictions. The best part: Dinner is served tapas-style, meaning sampling half the menu with a group is totally doable, sans judgement.